Custom buildings to fit all your needs from planning to completion. More About M.P.B. 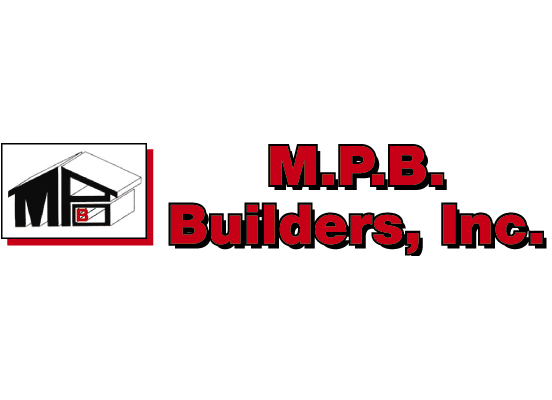 Builders, Inc.
M.P.B. Builders, Inc., located in Ripon, Wisconsin, was established in 1961 as a post frame contractor. M.P.B. Builders designs, engineers and constructs buildings for commercial, agricultural and residential use. M.P.B. Builders is a diverse company that builds post frame structures, steel structures, stud frame buildings, supplies materials to contractors, residential metal roofing, and commercial metal roofing, provides custom trim bending and drilling services and equipment rental. In addition, M.P.B. Builders, Inc. provides general contractor services. M.P.B. Builders, Inc. is a family-owned company (owned by Leo and Judy Souder), that takes pride in their employees. The building crews are managed by three foremen – Arnie Kirst, Gary Boe, and Tom Mathieu. The fabrication department is run by – Pete Souder. The drill foreman, Dave Schroeder whom combined with the other foremen, have over 120 years of building experience. M.P. B. Builders also operates its own trim fabrication shop, managed by Scott Souder. Recently M.P.B. Builders has received some recognition at the national and local level. At the National Frame Building Association’s national convention, held in Memphis, Tennessee on February 20 - 22, 2013. M.P.B. Builders, Inc. was honored with a 2nd place finish for “Building of the Year” award. The 2nd place award was given for Livestock Facilities (Free-Stall Barn) for Cheeseville Dairy, West Bend, Wisconsin. M.P.B. Builders, also has been recognized with numerous other 2nd place finishes along with “Honorable Mentions” and now is a nine time winner of the prestigious “Building of the Year” award from the National Frame Building Association. The National Frame Building Association Building of the Year awards are the most prestigious awards presented to builders in the post-frame industry. Doyle Pokorny a project manager with M.P.B. Builders, Inc. is currently serving a three year term on the Board of Directors for the Wisconsin Frame Builders Association as the Vice president. M.P.B. Builders, Inc. is known as an industry leader in post-frame construction. For more information on M.P.B. Builders, Inc. call 1-800-782-9632. Looking to build a garage, workshop or specialty building? M.P.B. Builders won the NFBA Livestock Facilities National Award of the year. Call us to design and build your dairy complex. M.P.B. Builders is a industry leader in post frame construction but did you know they also construct steel from commercial buildings as well. Are you looking for a garage, workshop or specialty building? Metal roofing provides good looks, energy savings and much improved durability for your home. We construct post and stud frame buildings. Call us for your next building project.